Most central heating systems develop magnetite sludge over time which is caused by a series of different chemical reactions. The different metals and liquids react with each other and leave a by-product known commonly as sludge. It starts with a small build up of this deposit in the bottom of radiators, as the water flows around these deposits they gradually build causing cold spots on radiators and blocking pipe work. This restricts the flow of circulating water, causing strain on crucial parts of your heating system such as your boiler and pump. The cause of this is a reduction of its effectiveness, efficiency and lifespan. We will visit your property in Bayford to carry out power flushing. 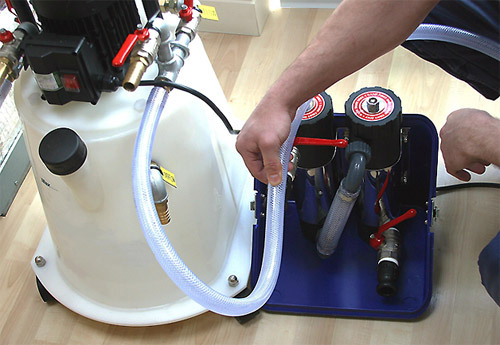 Our power flushing machine employs a high velocity pump and is a specialist device. This, combined with cleaning chemicals, removes the built up sludge. When clean this is then flushed out and replaced with clean water. The top preventative measure is to fit a magnetic separator such as magnaclean filters, boiler gaurds, boiler buddys etc. The strong magnets attract deposits as they pass through the filter causing them to adhere to the walls, storing them in a capture chamber. This chamber can be easily isolated and emptied by passing cold water over it, doing this with an annual boiler service will keep your heating system clean and efficient for many years to come. 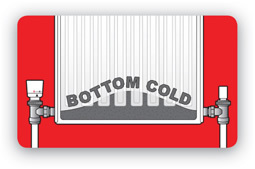 Call us on 07775 66 77 99 (mobile) or 01992 800 599 (landline) or email us at info@lfheatingandplumbing.com and we can arrange an appointment in Bayford (SG13) to suit you.